Mustard Seed Communities began in 1978 on the outskirts of Kingston, Jamaica. Initially, it served as a home and school for a handful of children who had been abandoned. Today, MSC provides residential care to over 600 children and adults with disabilities, over 100 children affected by HIV/AIDS, and a single home for young mothers in crisis. MSC also manages a number of community outreach programs to combat poverty and malnutrition, and to provide targeted education to local populations. These Caring, Sharing, and Training programs take place in Jamaica, Nicaragua, Dominican Republic, Zimbabwe, and Malawi. Our vision for each apostolate is to create a loving and Caring environment to aid in the physical, mental, and spiritual development of the residents. At the same time, we strive to uplift and empower the surrounding communities through outreach initiatives inspired by the principles of Sharing and Training. Take a look at how these founding principles of Mustard Seed Communities look in each country we serve. 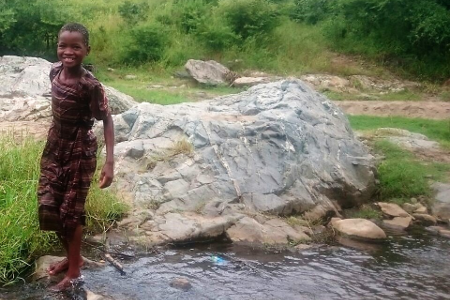 MSC provides residential care to over 400 children and adults in 13 homes across Jamaica. The populations we care for comprise the most vulnerable groups in Jamaican society: children and adults with disabilities, children affected by HIV/AIDS, and young mothers in crisis. MSC Jamaica's pottery shop & apprentice program is one example of how MSC is working to break the cycle of poverty in the communities we serve. Additionally, the Little Angels Learning Centers focus on young Jamaicans - ensuring a quality early childhood education and empowering them to succeed in the future. In 1999, prompted by a growing reputation for providing comprehensive care to the most vulnerable in Jamaica as well as a dire need for those services in Nicaragua, Mustard Seed Communities expanded to a second country. In a small neighborhood just outside of Managua, construction of a residential care facility began. Through collaboration with local organizations and stakeholders, MSC Nicaragua expanded over time to include a second home for young adults with disabilities in the more rural setting of Diriamba. Today, in addition to caring for over 70 children and adults with disabilities, MSC Nicaragua assists women and families living in impoverished areas of Managua through the Christ in the Garbage Ministries (CIGM) program. CIGM oversees the distribution of food packages to address the immediate issue of food insecurity and maintains a Resource Center for adult women to learn vocational skills and gain economic independence in the future. 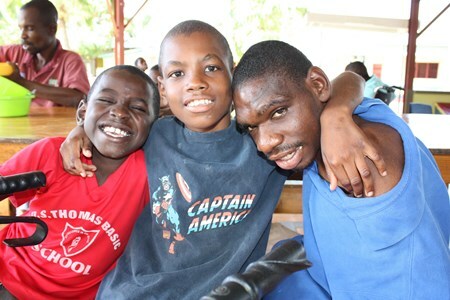 In 2001, Mustard Seed Communities expanded to Dominican Republic, establishing the third international location to provide care to children with disabilities. MSC acquired property in the small town of Cangrejo, on the outskirts of Puerto Plata, and constructed Hogar Immanuel, a home for children with disabilities. Additionally, MSC Dominican Republic operates community development and outreach initiatives providing jobs, training and nutrition to the local community. When MSC first established a presence in its fourth country, Zimbabwe, the immediate need was to assist local efforts to care for children affected by HIV/AIDS - in other words, young Zimbabweans who had either been orphaned by the disease or were born HIV-positive themselves. In many instances the residents of our homes fall under both categories. Since its inception, MSC Zimbabwe has evolved in collaboration with local need and has developed several programs serving children and families throughout Bulawayo, Zimbabwe's second-largest city. MSC Zimbabwe runs three residential care facilities for children with disabilities and those affected by HIV/AIDS, currently providing a home to more than 50 children. Additionally, there are four satellite nutrition programs that feed up to 600 children a day, two preschools, and a vocational training center for local youth called Potter's House. The small shelter that began in Jamaica in 1978 spread throughout Central America, reached Zimbabwe, and expanded to Malawi in December of 2016. Malawi, a landlocked country in Southern Africa, is ranked as 18th least-developed in the world. The MSC Malawi home is located in the district of Chikwawa, and currently cares for fifteen children who the state identified as most urgently needing care. Due to devastating rural poverty in Malawi, the needs are great. The waitlist of potential future residents is long, and the ways in which MSC can best evolve and serve the Malawian people is being actively assessed by our staff on the ground.